Please see two friendly reminders below. 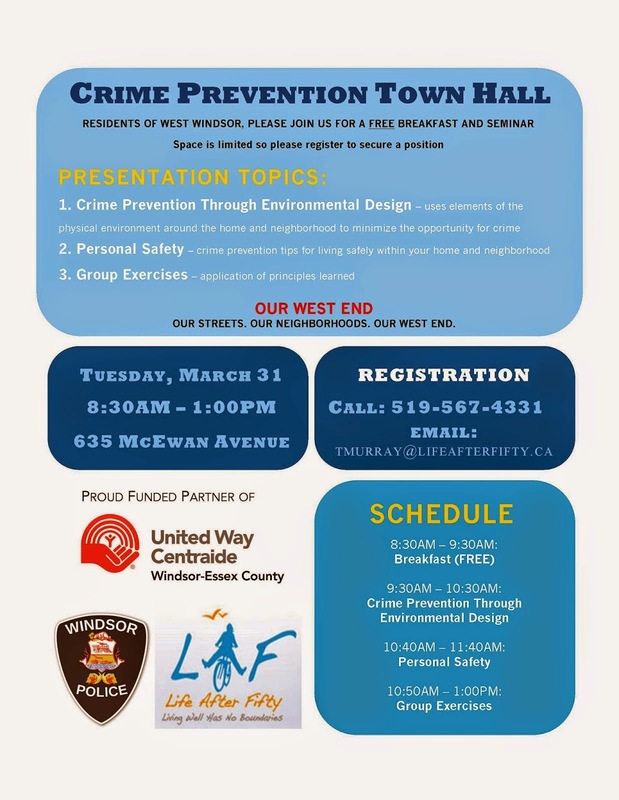 The first is to get in touch with Transport Canada regarding the Ambassador Bridge Twin Span proposal, and the second is regarding our crime prevention town hall this Tuesday at Life After Fifty. "Your city needs your voice, now. Here’s how to be heard. 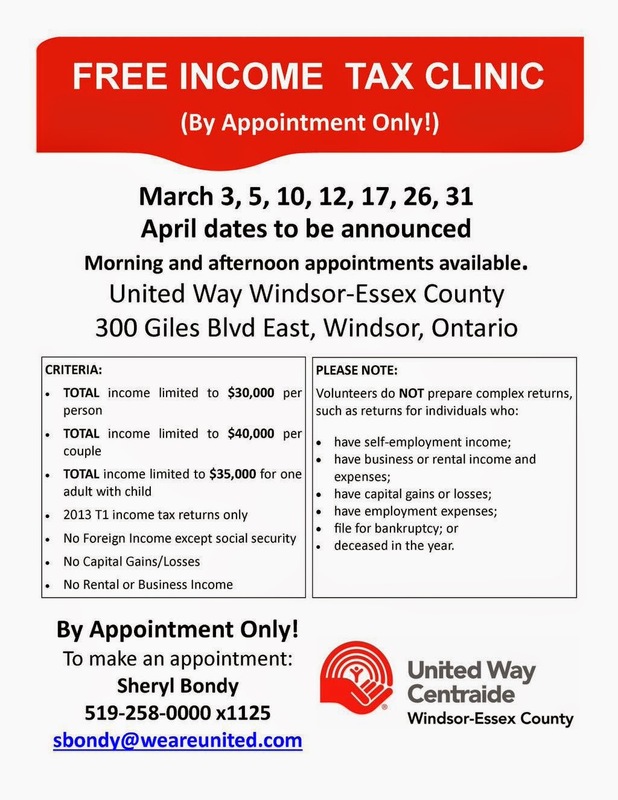 Check out this recent post by Windsorite.ca news. It looks like the old Price Chopper on Crawford (closed in 2012) may become a new grocery store. 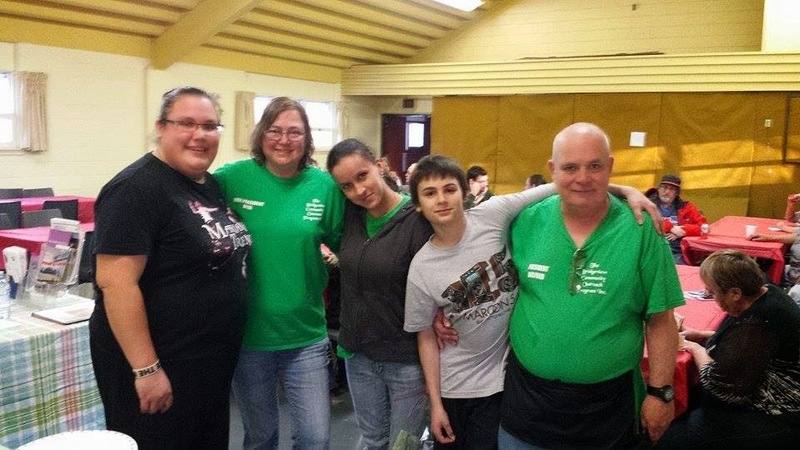 Bridgeview Community Outreach for Youth pasta fundraiser a success! I was able to briefly attend the Bridgeview Community Outreach for Youth fundraiser on Saturday, March 21 at 1636 Tecumseh Rd. W. It was a success where many residents from the neighbourhood attended to show their support. Here are some pictures from the event. Hidden Treasures moves to 1940 Tecumseh Rd. W.
I got an email from the founder of Hidden Treasures, Danielle Meloche. Hidden Treasures is an education and resource centre that was formerly at the corner of Felix Ave and Girardot. They are having a March Madness sale where all season clothing goes for $1. They are also willing to further help if money is tight right now. Please see these two article links below. There are many more articles surrounding this new development and I encourage you to read up on them. The Ambassador Bridge is looking to twin span and it is crucial that your voices be heard. Sandwich Towne is the most historical neighbourhood in our region. It is where our community really began and we must protect its heritage, history and livability. You're invited to an Applebee's Flapjack fundraiser breakfast to support St. John School CSAC. Tickets are $8.00 and 60% of the proceeds will be donated to the St. John School foundation. Please come and support our students and the parents who volunteer tirelessly to make St. John a special place. Please email me if you are interested in purchasing tickets.